Critical to the efficient running of all gas and hydraulic installation requiring pressure control is the fitment of easily maintained and positive filtration. 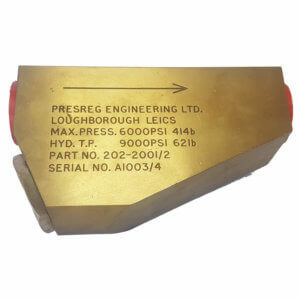 Presreg has a 200 Series range of filters suitable for most applications. Available in three type configurations and filtration levels from 2.5 to 60-micron particle size these filters ensure maximum protection for Pressure Regulators and other debris sensitive equipment. We are able to supply most models suitable for High Purity, or Oxygen service and N.A.C.E. compliant materials but please specify this requirement with your enquiry or when placing an order. In-line, large capacity filter range. 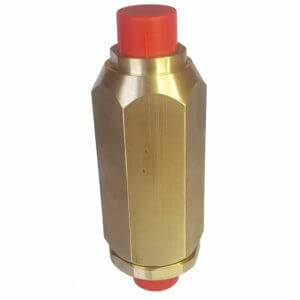 Available in either male or female configurations, 1/2″ to 1.5” port sizes. Available in levels of filtration from 2.5 to 60-micron particle size, pressures up to 414Bar and various material options. 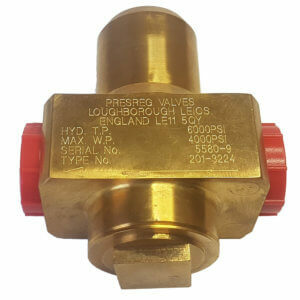 Presreg developed the ‘T’ and ‘Y’ series’ to enable easy and rapid change of filters without removing the whole unit form the line. Simply vent pressure on the line and unscrew the end cap. Replace the filter element, reconnect the cap and re-pressurise the system. No concerns about line connection integrity and improved time of maintenance. A compact ‘T’ configuration filter range designed for in-line maintenance with the element being serviced or changed from the base. Available in port sizes 3/8” and 1/2”, filtration levels from 5 to 40-micron particle size and suitable for pressures up to 414Bar. Various material options available. Alignment unions are also available for parallel thread options if and when required. A large capacity ‘Y’ configuration filter range. Female ports in sizes 3/4” and 1” and levels of filtration between 15 and 40-micron particle size. Available for various material options.